Wedding in India depicts a fine mix of sacred rituals and traditions coupled with an array of celebrations. Indian wedding facts are many but first and foremost among them are that it allows two individuals to embark on a new relationship. Apart from making a bond between two individuals, it also joins two Families and forges a life long bond between the families concerned. An Indian wedding is all about tradition, rituals and customs. Apart from following serious wedding rituals there are various fun filled rituals and frothy elements in Indian wedding facts that further lighten the mood of people with all their traditional aspects. As India is a diversified country with a number of religions and traditions, the Indian wedding facts also differ with changing places and religion. Every community and cast in the region has its particular culture and tradition. An Indian wedding largely means a family union. Indian wedding facts also include the ritual of haath boravanu where the groom has to keep his hands in water till he pays his saalis. In some of the communities it is also a custom where the saalis or sister-in-law hide the shoes of jija and returns them on exchange for money which is among the fun filled and exciting Indian wedding facts. In the Gujrati community, the mother-in-law of the groom tries to catch his nose on arrival with the baraat which means that he is taking their daughter. Another Indian wedding fact among the Gujarti community is the Aeki-Beki game where a tray with the mixture of water and milk is placed and a ring along with some coins is thrown into the mixture. The couples have to fish out the ring in seven chances and the lucky one is considered as having dominating personality. Some of the common Indian wedding facts that are followed almost throughout the country are when the groom brings his new bride to his house. The sisters of the groom block the entrance to the home, demanding money from their newly wed brother. 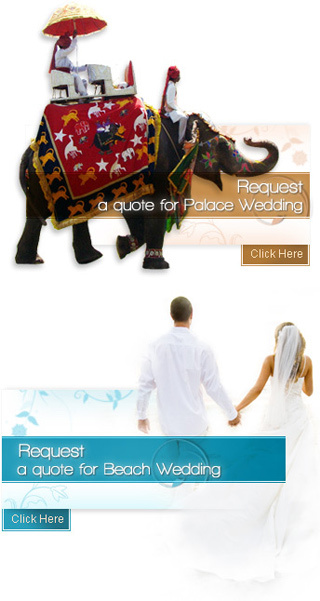 There are a numbers of fun filled facts in the Indian wedding that make them exciting and enjoyable.